If you decide to visit one of our Australian destinations such as Sydney, Melbourne or Perth; why not stopover in Dubai? With year round sunshine, Dubai is the perfect destination for your next holiday or as a short trip on the way to Australia. You could also hop across to New Zealand, the home of supervolcanoes, geysers and world-renowned Sauvignon blanc. It's always bright in Sydney when the city comes alive. 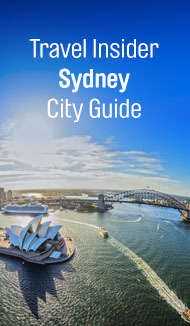 Explore iconic Sydney Harbour and famous beaches, relax in chic cafes, and discover the locals' favourite suburbs.